Massimiliano Allegri. That's a name which is already in the history books of Juventus Football Club, but still has a wide gap in the achievements section - the Italian coach hasn't yet got his hands on the Champions League trophy, despite so many successful seasons in the domestic league. But this season he finally might have his best shot at the European title, thanks to Juventus' signing of Cristiano Ronaldo, the 34-year-old from Madeira, Portugal. Ronaldo has won the Champions League five times with two different teams, and to specifically add, has won that very trophy three successive times in the last three seasons with Real Madrid. Mr. Champions League, as they call him. Two weeks ago, Allegri and Ronaldo's hopes of the Champions League seemed to have suffered a huge blow as the team went down 2-0 to Atletico Madrid in Spain, which meant that the Old Lady would have to score three times to win the tie in Turin. The stage was for the Champions League's best ever player, Ronaldo, and he did deliver. But there was something which won Allegri the match and the tie even before the goals downpour started last night in Turin - something which enabled Ronaldo to unleash his wrath on the strong Atletico defense. This man - Federico Bernardeschi. I would call the Italian my man of the match last night. He was the one who tore down the Atletico defense time and again, every couple of minutes in the match, so that Ronaldo could end their European dreams inside the penalty area. Allegri made it clear that Juventus were going to attack the Atletico goal from the first second of the match. And that needed a lot of pace, because the Atletico side are also one of the fastest sides in Europe with Antoine Griezmann, Thomas Lemar, Saul Niguez and Rodri in their squad - all of whom can counter within a matter of a few seconds. The answer to this was simple for Allegri - deploy two amazingly fast players in the attack. There was Federico Bernardeschi on the left flank, and Blaise Matuidi on the right. Atletico left back Juanfran might have recurring nightmares of Bernardeschi's attacking play last night. The Italian was everywhere in the third half of the pitch, causing many attacking problems to the Atletico side. They got so busy defending against the 25-year-old, that they ended up neglecting Ronaldo himself. 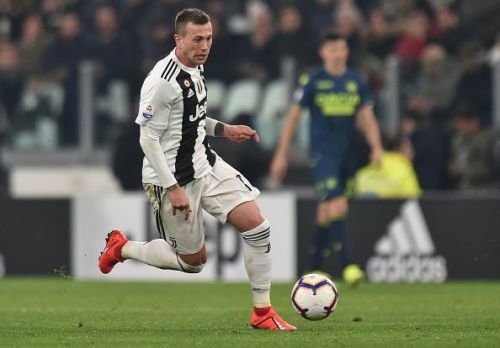 The selection of Bernardeschi will probably never be talked about in the history of this Juventus side, which can possibly win the Champions League this season. But Allegri might have just given some budding managers a peek into his school of thought after last night's selection tactics. Juventus have two realistic contenders who can beat them in the Champions League - FC Barcelona and Manchester City. 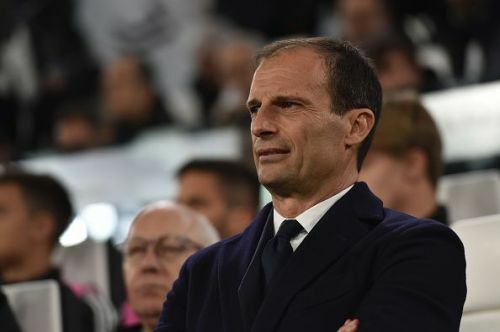 It will be interesting to see a tactical duel between Pep Guardiola and Massimiliano Allegri in the coming rounds or maybe the final, if things pan out that way.